Pokey Reads! Words will be served! Yes, I’m reading with a poet from Cambridge next Wednesday in Northampton at the cafe and would love it if you could come. You can certainly have dinner there, but it’s also fine to just come and listen, just refrain from heckling. Dogs Sing! Good behavior rewarded! 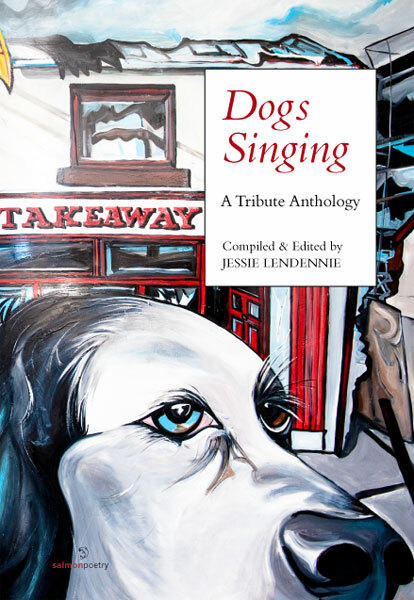 Pokey (writing under her pen name, Amy Dryansky) also has three poems in the new anthology, Dogs Singing, published by the Salmon Poetry and available in November. You can read more about it here. That’s it for now. Longerness will soon return. Previous Post And hast thou slain the Jabberwock?